Have you ever had a thought whispered in your ear, only to turn around and no one was in sight? Or perhaps someone tickled your feet in bed, when there is no one else in the house but you? Guardian Angels. 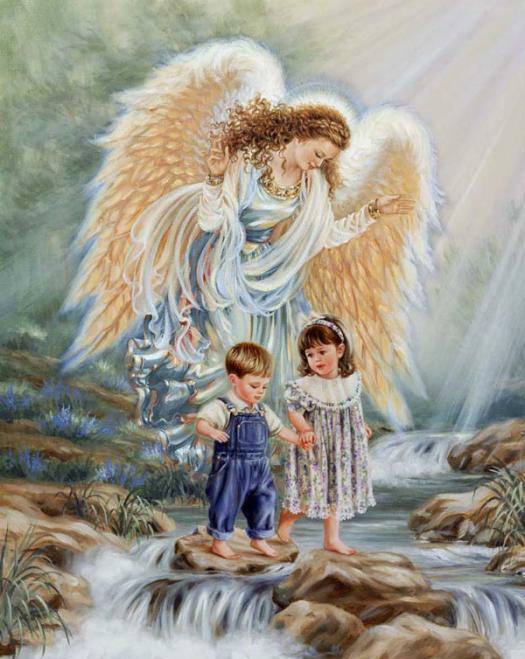 I write this article on the basis of what I believe and what I have to share with you about my Guardian Angel and my families Guardian Angels. Some may believe and others may not, but this is up to your own heart to decide. 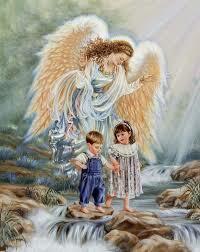 Guardian Angels are assigned to every being who has come to earth. Some know who their Guardian Angels are and others are just beginning to take notice that someone is helping to guide him/her. My Guardian Angel has a name, that I will not reveal here because of personal feelings; however, I will reveal that this Guardian Angel has a male prevalence. On occasion, my Guardian Angel has saved me from imminent danger, surprised me, humored me, and made me smile. I cannot count the ways that he has helped to guide me along my chosen path. I say chosen, because he does not make my choices for me, he only helps to steer me towards the right decision or help me with the choice I have made. There have been many times that I have been driving in the car and all of a sudden I pick up my feet and hit the breaks. I have missed many an animal this way and I am so Thankful for saving a life! still and no amount of flashing my cars lights or honking of the horn would manage to budge them an inch. I panicked and as they drew closer within feet, I closed my eyes in fear of hitting three beautiful deer. I apologized to God for driving so fast and I apologized early for hitting three of his precious lives. My eyes remained closed for another instant and NO IMPACT. My eyes flew open. There wasn’t any dead deer in front of me and no car accident with me trapped inside. What? How? And as I turned around to see the deer, there was no trace of deer on either side of the road or down in the fields either side. Honestly I could not imagine how those animals could move out of sight so quickly. It was remarkable and definitely worth remembering. I credit my Guardian Angel for the warning and now I listen better when I have a strange feeling or hear a warning. Guardian Angels are here to help guide us along our chosen paths. While they cannot judge you or choose your path for you, they can help when you really need the help! Listen to your inner voices and hear what your Guardian Angel has to say. You might just walk out of a dreadful situation with a smile and tears of thanks!